Hide and Seek is a great social game. Children naturally learn through play, but kids on the autism spectrum often need to learn how to play the way typical kids learn math or reading. If you're a parent or teacher of a child with a pervasive developmental disorder (PDD), you may be able to use games to improve the child's social skills. Games are very appealing because they have structure and rules, but they are also enjoyable. If you've spent any length of time working with kids on the spectrum, you've probably noticed that it can be difficult to capture and hold their attention. Many therapists and educators notice that children with autism often "have their own agenda." Kids with PDD are often focused on what interests them, and it can be very challenging to try to distract them from these limited topics. Fortunately, you can use games to insert yourself into kids' play routines. Games are a great way to make learning fun for children with PDD, and they can be extremely effective at teaching social skills. Because the child is getting enjoyment out of the experience, he or she is more likely to stick with the interaction for a longer period. Choose one or two areas of focus, and then select a game that helps with these challenges. Some games may work on several social challenges, and these can be great choices if you're working with a group of kids. However, it may be necessary to begin with short one-to-one play sessions before moving on to group games. In some cases, children on the spectrum follow other children's behaviors, which can be very beneficial when working in groups, but you may have to work up to playing in groups gradually. Countless games effortlessly develop social skills in normal children, and they can be applicable to kids with pervasive developmental disorders as well. Board games, for example, address a number of different skills, including taking turns, listening and watching for other people's cues. Each of these skills play a role in the fundamental give-and-take nature of social interaction. The following classic children's games address social issues that can be challenging for many kids, even those who aren't on the spectrum. Consider incorporating neurotypical peers into the game so kids with PDD can have models for their behavior after they master basic skills. This game has been around for centuries, and there is good reason for its longevity. This game is just plain fun, and it's a fabulous way to teach some important social concepts. Kids with PDD can use Hide and Seek to learn about taking turns and understanding other kids' perspectives. To play this game with a socially-challenged child, you'll need to be very involved. 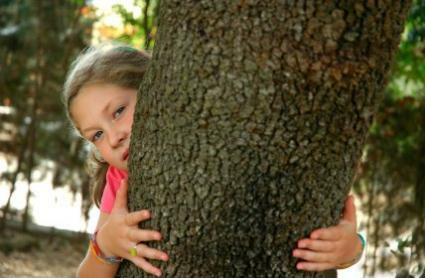 The child with PDD can start with the role of hiding. Talk about how the seeking child might or might not be able to see the PDD child. This will help with the concept of perspective-taking. When the child gets a turn at being the seeker, talk about turn taking. Go Fish is a fun and easy card game that can teach turn-taking while facilitating conversation. Kids with PDD can learn how to ask for specific information and they can learn how to answer questions appropriately. You can create your own version of Go Fish that focuses on language, idioms and expressions that may be challenging for kids on the spectrum. For example, make your own Go Fish cards with phrases like "hit the road" or "raining cats and dogs." In order to receive the card he or she needs, the child will need to tell you how this expression may be used in conversation. This is a very advance game, and some kids may merely use rote memorization to form their responses. You may have played a variation of Who Am I at a party. This is another game that is ideal for children with high functioning developmental disorders. To play, you can tape a note to the forehead of each child. On the note, write the name of an emotion. The child will not know which emotion is taped to his head, so he'll need to interact with other kids to find out. In addition to asking questions about the various emotions, kids can try acting them out. This gives socially-challenged kids a chance to practice interpreting facial expressions, and it's also a great way to help them understand conversational turn-taking. Add visual aids like pictures to prompt the child for correct responses. While many traditional games inherently offer help in developing social skills, some are designed specifically for kids on the spectrum. Ryuu is a video game that uses dragons to grasp attention while serving as a tool to develop important social skills. Children Succeed offers many games for kids on the spectrum that focus on interactions. Story Time Felts are sensory-friendly toys that promote imaginative play and social skills. Working with kids on the spectrum can help you realize how a game like Peek-a-Boo is really a life less in object permanence and social interaction. Consider creating a social game around a child's special interest, such as trains or astronomy. This will ensure you capture and keep the child's attention throughout the game. Work with your child's treatment team to develop ideas for activities and games that can help meet the goals and objectives outlined in the treatment plan.